The Oresund Bridge, which is 4.8 miles long, crosses the Oresund strait and joins Sweden with Denmark. 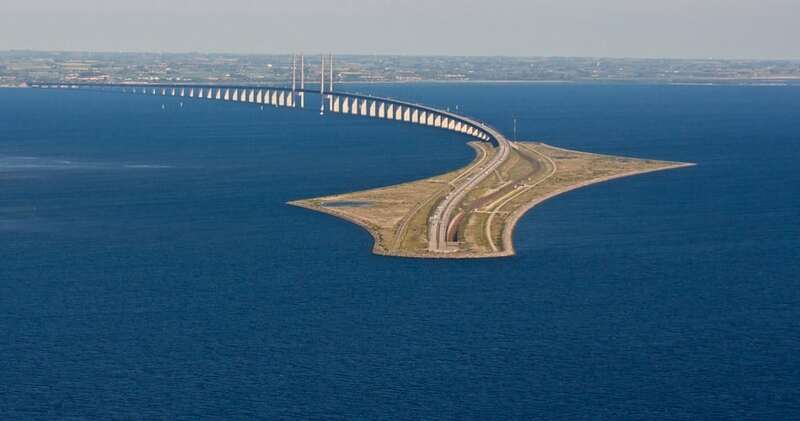 It starts as a cable bridge in Sweden and ends as a tunnel in Denmark. A small artificial island was built around the tunnel’s entrance to keep water from creeping in. Not only is the bridge equipped to handle four lanes of traffic; it also has a double-track railway.